In February 1944 Lieutenant-Colonel Tommy Wilson, an army psychiatrist recruited from the Tavistock Clinic, submitted a nine-page report to the War Office. It focused upon the plight of tens of thousands of servicemen overseas who had, in recent times, become labelled by administrators in the British government as the ‘awkward lot’. The other term they were known by was ‘prisoners of war’. 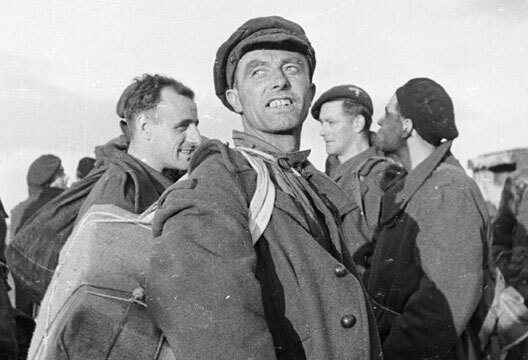 Wilson’s report set out a series of recommendations on how to handle these men upon their return home at the end of the Second World War. The eventual result was to be far-reaching: a programme of Civil Resettlement Units (CRUs). Largely forgotten about, this programme was one of the first controlled experiments in social psychology, an early example of ‘therapeutic communities’ and is notable for its humane treatment of returning service personnel. The full article can be read online here. Forthcoming in the Journal of the History of the Behavioral Sciences are two articles of interest to AHP readers. Titles, authors, and abstracts below. 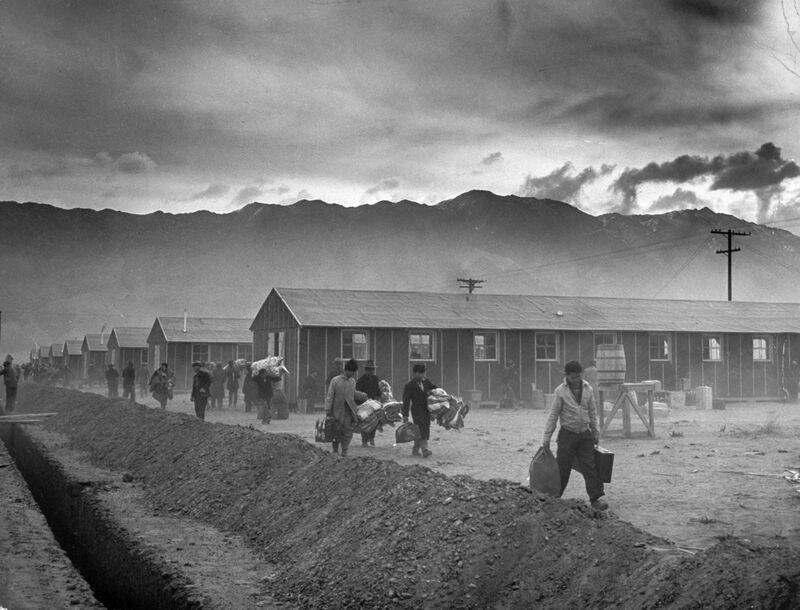 During World War II, the U.S. Indian Service conducted social science experiments regarding governance among Japanese Americans imprisoned at the Poston, Arizona, camp. Researchers used an array of techniques culled from anthropological culture and personality studies, psychiatry, psychology, medicine, and public opinion research to probe how the personality traits of the confined Japanese?Americans and camp leaders affected the social interactions within each group and between them. The research drew on prior studies of Indian personality in the US Southwest, Mexico’s Native policies, and indirect colonial rule. Researchers asked how democracy functioned in contexts marked by hierarchy and difference. Their goal was to guide future policies toward US “minorities“ and foreign races in post?war occupied territories. We show how researchers deployed ideas about race, cultural, and difference across a variety of cases to create a universal, predictive social science, which they combined with a prewar romanticism and cultural relativism. These researchers made ethnic, racial, and cultural difference compatible with predictive laws of science based on notions of fundamental human similarities. The present paper is focused on the evolution of the position of the Catholic Church toward psychoanalysis. Even before Freud’s The Future of an Illusion (1927), psychoanalysis was criticized by Catholic theologians. Psychoanalysis was viewed with either contempt or with indifference, but nonpsychoanalytic psychotherapy was accepted, especially for pastoral use. Freudian theory remained for most Catholics a delicate and dangerous subject for a long time. From the center to the periphery of the Vatican, Catholic positions against psychoanalysis have varied in the way that theological stances have varied. In the middle decades of the twentieth century, some Catholics changed their attitudes and even practiced psychoanalysis, challenging the interdict of the Holy Office, which prohibited psychoanalytic practice until 1961. During the Cold War, psychoanalysis progressively became more and more relevant within Catholic culture for two main reasons: changes in psychoanalytic doctrine (which began to stress sexuality to a lesser degree) and the increasing number of Catholic psychoanalysts, even among priests. Between the 1960s and the 1970s, psychoanalysis was eventually accepted and became the main topic of a famous speech by Pope Paul VI. This paper illustrates how this acceptance was a sort of unofficial endorsement of a movement that had already won acceptance within the Church. The situation was fostered by people like Maryse Choisy or Leonardo Ancona, who had advocated within the Church for a sui generis use of psychoanalysis (e.g., proposing a desexualized version of Freudian theories), despite warnings and prohibitions from the hierarchies of the Church. The May 2017 issue of Social History of Medicine includes two articles that may be of interest to AHP readers. The first piece explores cases of jealousy, madness, and murder in the context of admissions to the Broadmoor Criminal Lunatic Asylum; the second describes how two editions of shell shock films differently incorporated notions about class, gender and nation. Titles, authors, and abstracts follow below. This article compares the representations of jealousy in popular culture, medical and legal literature, and in the trials and diagnoses of men who murdered or attempted to murder their wives or sweethearts before being found insane and committed into Broadmoor Criminal Lunatic Asylum between 1864 and 1900. It is shown that jealousy was entrenched in Victorian culture, but marginalised in medical and legal discourse and in the courtroom until the end of the period, and was seemingly cast aside at Broadmoor. As well as providing a detailed examination of varied representations of male jealousy in late-Victorian Britain, the article contributes to understandings of the emotional lives of the working-class, and the causes and representations of working-class male madness. New JHBS: Mental Testing, Random Sampling, & More! The Spring 2017 issue of the Journal of the History of the Behavioral Sciences is now online. Articles in the issue explore the promotion of the scientific status of polling, Robert H. Lowie and the concept of culture, the work of Lawrence Krader, and work on mental associations prior to mental testing. Full titles, authors, and abstracts follow below. 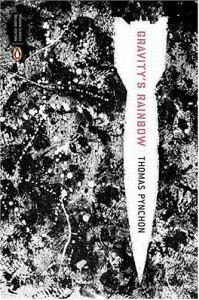 This summer I read Thomas Pynchon’s legendary, post-modern novel Gravity’s Rainbow. Published in 1973, the novel takes place during the latter part of WWII, beginning in London and eventually traversing the European (and occasionally other) landscapes. Pynchon’s work is of such a non-traditional nature that describing a plot is a preposterous attempt; but the novel’s linchpin is the Germans’ rumoured Rocket 00000, and the hitherto unknown power and destruction it may contain. Gravity’s Rainbow is replete with characters and circumstances pertinent to those interested in the history of science, particularly psychology. Though the author attends to and obsesses over the esoteric verbiage and theories of physics, engineering, and espionage, Pynchon devotes a considerable amount of his novel (and the characters therein) to matters related to Psychology. Indeed the main character, Tyrone Slothrop, is at the forefront of this novel due to his intimate physiological and psychological connection with Rocket 00000 (and the Schwarzgerät [AKA ‘black device’] within it). 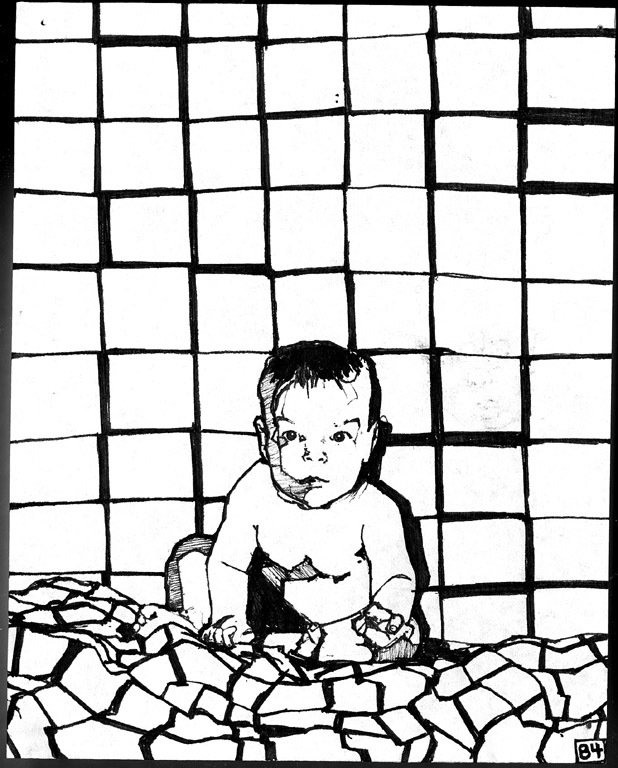 This conditioned connection was wrought when Tyrone was a neonate—the experimental situations of such reflexive conditioning emphasizing Pavolvian theory, while echoing the setting of Watson and Rayner’s Little Albert experiments. An entire club of scientists in this book revere Pavlov as a demigod, and rotate their lone copy of his Lectures on Conditioned Reflexes, simply referring to it as ‘The Book’. Pynchon also includes scenes of the supposedly supernatural, where the faithful and the skeptical alike attend séances. These scenes mirror Psychology’s early history of actively debunking supernatural occurrences, unmasking the deceptive charlatans; concurrently there are other organizations, such as the Psi Section(s), that are professionally interested in the parapsychological for potential military and espionage tactics. Other characters and scenes concentrate on statistics and probability, and their predictive utility in the unpredictable chaos of war (with a particular focus on the Poisson Distribution). Many of these scenes recall the involvements of psychologists in military and government matters, and shines a light on their bizarre and variegated positions within the national and transnational bureaucratic machines of WWII. These are a smattering of how the history of Psychology makes it way into Gravity’s Rainbow, and Pynchon develops the complex ramifications of these new theories and technologies for his seemingly endless assemblage of characters. 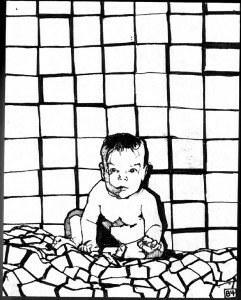 These examples related to the history of psychology are ensconced within a fictional world that reflects the consequences of our scientific and technological progress: the fragmentation and disorganization of our selves and our societies that result from our systems of unification and organization. Tyrone Slothtrop’s continually evolving and confused selves, his nomadic lifestyle leading to places that are in constant destruction and reconstruction, and Pynchon’s own ceaseless change in narrative genre, tone, and syntax, illustrate the dizzying fragmentation-reorganization cycle that revolves more quickly the further we progress in our sciences and technologies. This book is Pynchon’s attempt at capturing the impossibly convoluted state of our post-WWII and post-modern lives. Though Gravity’s Rainbow encompasses much more than only issues related to disciplinary Psychology, I would still like to recommend it as an excellent source of interest, inspiration, bewilderment, and discussion for anyone interested in the history of Psychology. Page-by-page artwork by Zak Smith here. 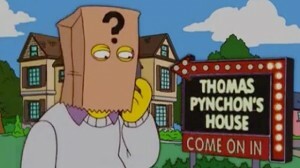 Learn more about Pynchon here, here, and here.